School events of Christmas past, present, and future. Stuff to look forward to includes a fencing festival, a chess tournament, as well as a production of Bugsy Malone and a chance to rock out for charity at SUIS. More school winter markets if you missed last weekend's and winter camps to check out if you're still wondering what the heck you're gonna do with your kid from December 18 to December 22. Also, the full haps on the Arts Soiree and the first I CAN! Life Skills Tournament, school open days, and some chances for grown ups to learn too. The M&Y group had their first I CAN! Life Skills Tournament in early November at Yew Chung International School of Shanghai. Over 100 parents turned up to support 8 teams of students from various schools. The tournament aimed to encourage students to use their critical thinking skills and included design and problem solving challenges. There was also a portion for public speaking. WeChat: themygroup to stay in the loop on future tournaments. They've got winter camps set: Theatrical Storytelling Winter Camp for kids 4-12 years old from December 18-22 (2,990rmb for full day 1,890 for half day). And for the older kids (9-14) there'll be a comedy camp at Kung Fu Komedy. Shanghai United International School's annual Arts Soiree took place in mid-November. 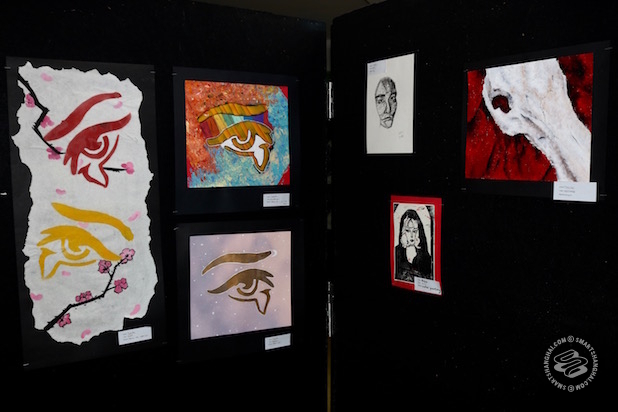 It was a showcase of student art from installation pieces to paintings to live music to films, all of the art things to show off the talented students of the SUIS community. 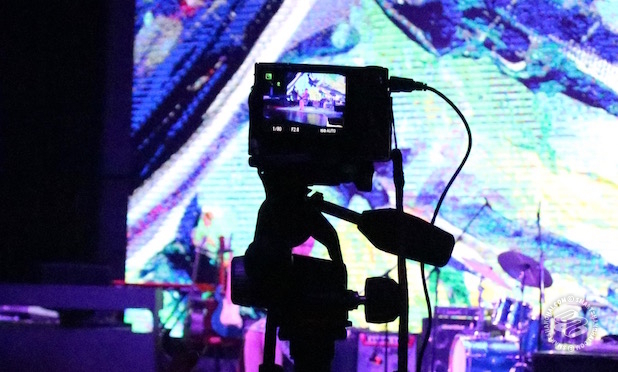 A really nice feature was everything was student created from the backdrop behind the musicians to the photographers and videographers capturing the event. SUIS gives students some real-world art experience, with photography and film students capturing the event. Heartwarming Christmas-y News: WISS and Dulwich College Shanghai both had their holiday fairs in late November with mulled wine and crafty things (don't stress if you missed them, there are still more on for this weekend, just scroll down a bit). Also, shout out to Britannica International School's choir 'Britannica Voices 1' who sang at the Christmas Tree lighting at the Fairmont Peace Hotel on Friday, December 1. Set in 1929 New York, Bugsy Malone is a classic show following gangsters in the age of prohibition but with a cast of child actors. SUIS presents their own interpretation of Bugsy Malone with re-contextualised script, a big jazz big band, and student made sets. There will be 3 shows: December 7, 8, and 9 at 7pm. Tickets are 40rmb at the door, or 100 for a family of 3. The annual German Christmas Market is one of the biggest events of the year for the NAIS community, welcoming the family and friends of students as well as the general public. Expect children's activities, pictures with Santa, music, shopping, food, drinks, and a charity raffle. All profits will go to partnering charities: Huixin Orphanage, Shanghai Sunrise, and Heart2Heart. Runs from 5.30-8.30pm, free entry. This year SCA’s Christmas Chess Tournament is on at Harrow. It's a Swiss-style 'rapid tournament' with two age categories. For chess champs under age 6 the tournament will run from 1-pm and cost 150rmb per child (includes a t-shirt). The rest of the kids ages 7-18 will compete from 9am- 5pm, costs 200rmb per child (includes lunch and t-shirt). Anyone can join in on the fun, just email: info@scachess.com or call 6233 2215. 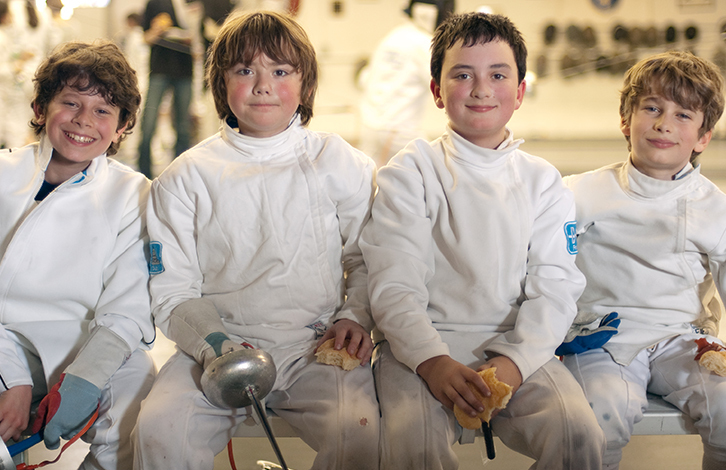 Dulwich College Shanghai is hosting a Sunday Winter Fencing Festival, that will have fencing activities, team competitions, and a chance for the whole family to try out the sport. Open to the public, will run from 2-4pm, free entry. This is SUIS's big concert featuring students and teachers playing music together in rock bands in order to raise money for the charity Blessing Hands. Check out the collaborations from 6pm to 9pm, costs 40rmb or 100 for a family of three. Dulwich College Shanghai is offering a Winter Futsal Camp over four Sundays from January 14 to February 4. There are three groups for ages 1-2 (starts at 8.30am), ages 3-4 (9.30am) and ages 5-9 (10.30am). Costs 400rmb for all sessions, open to the general public. Follow the link for the QR code to register. GoEast Language Center is offering free open Chinese classes for beginner, elementary, and intermediate students. These free classes will take place at their Yangpu Center only on Dec. 3, 10, 17, 23, and 30. That’s Mandarin will be doing a 2-month Winter Camp starting from Dec 4, Dec 18, and Jan 8 for kids 7-17. The camp will involve Chinese Language classes, activities, and field trips. Can book by 1 week sessions, or full 2 months, book here. More Winter Camps: including iStage Winter Academy a full day camp from December 18-22 where kids will put on a production of Peter Pan and Shanghai City Ballet's winter camp (same dates) where kids 3-6 can try out ballet, tap, hip hop, and jazz. Western International School of Shanghai was proud to announce that two on their staff were selected by the selected by the IBO headquarters to contribute to the global IB community. 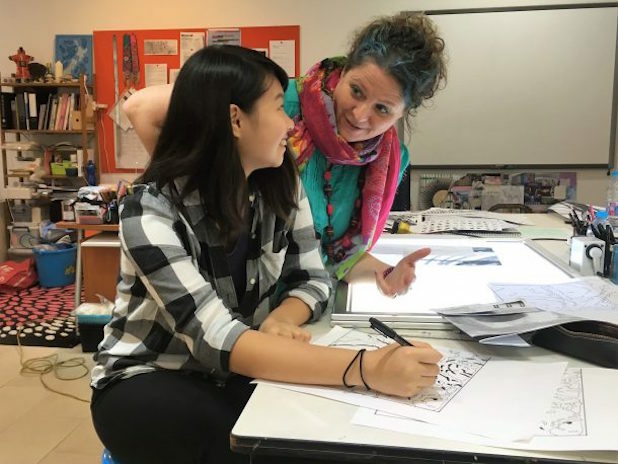 Ms. Doreen Garrigan, the Primary Principal at WISS, has been invited to give comment and advice on how IB standards can best be incorporated into school culture and learning, while Ms. Liz Jones has been selected to participate in the MYP Arts Curriculum Review panel. Upcoming Open Days: Dulwich College Shanghai has got its next open morning for prospective year 1 and 2 students on January 10, register here. Also Harrow International School Shanghai will be having open mornings on December 7 and 9, and January 11. Details here. The next Middle and High School tour of Shanghai American School is December 7, more dates here. Annnnd Concordia's next "coffee meeting" (open morning) is January 15, register here. P.S. You can keep up with school news and events on our Education Directory.